Subject lines make or break your email campaign. Heck, they can make or break your business. Email marketing is the most effective and lucrative way to connect with your customers. But if your subscribers aren’t opening your emails, you’re missing out on a ton of sales and conversions. The numbers make for difficult reading. Most of us receive an average of 121 emails every day. Problem is, we only open 30% of them. And if the email comes from a retail or business marketer, that open rate drops to 22%. So, how do you cut through and get people to click on your email? Studies show that 33% of us decide whether or not to open an email based on the subject line alone. It’s that important. Welcome to part 5 of this 6-part series on email marketing. In part four, I looked at increasing your open rate. But, I want to go a step further and look at the most important aspect: your subject line. It’s a science that deserves more than one bullet point, so let’s jump straight into my 18 subject line tricks. This simple equation was made famous by Gary Bencivenga, and is the guiding motto for any copywriter. It is generally used for headlines, but applies equally for email subject lines. Your email subject simply needs to do two things. Number 1, offer some kind of benefit to the reader. Tell them why they should open it. Explain how it will make their life easier or better in some way. And #2, pique their curiosity. This is simple psychology. Humans are curious and if you tease us with something, we always want to know more. Balancing ‘benefit’ with ‘curiosity’ is the simple (but devilishly difficult) formula to a great subject line. You’ve only got a small space to work with when it comes to email subject lines. Even smaller when you take into account that 55% of emails are opened on a mobile device, where the space for subject lines is tiny. We tend to scan our email list pretty quickly, so you’ve got to grab your reader’s attention fast. This tip comes straight from MailChimp – our favourite email marketing service – which has analyzed millions of emails sent through its platform. They discovered that short, direct subject lines deliver the highest open rates. Try to keep your subject line to fewer than 50 characters. Be ruthless in cutting out redundant words or phrases. Aim to get your message across in the shortest phrasing possible. Your email subscribers are looking for instant value. They want to know exactly what they’ll get when they click on your email. Again, MailChimp analyzed millions of subject lines and open rates to confirm this. Look at their table of best and worst subject lines. The ones with the best open rates are simple. In fact, they’re downright boring. But they work. Some of the more creative subject lines have terrible open rates. Think about how you scroll through your own email inbox. The subject line that gets straight to the point will often stand out. 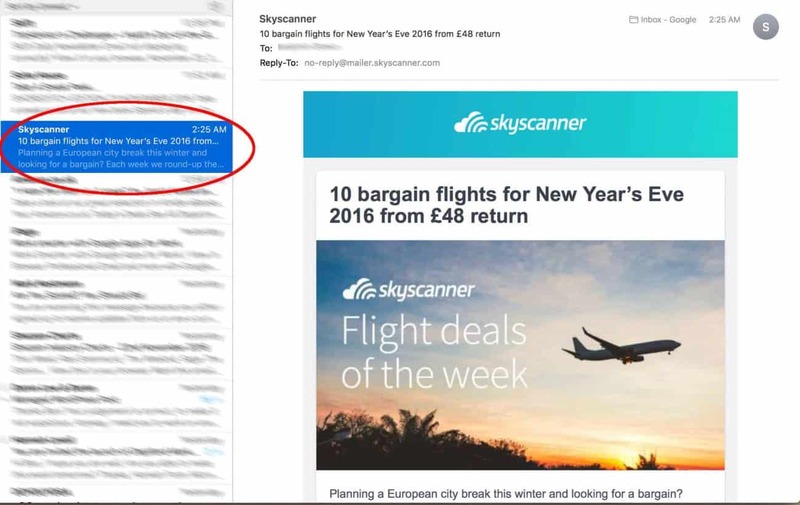 Check out SkyScanner’s recent marketing email: “10 bargain flights for New Year’s eve”. It tells me exactly what I’ll find when I open the email. No frills. 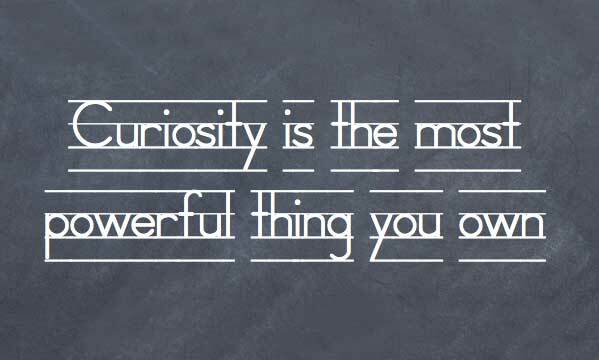 Although it often pays to be direct, a little playfulness and curiosity will often grab your reader’s attention too. Credit to HubSpot for picking up on this one. This subject line is great because it’s the best of both worlds. It’s descriptive but witty, while maintaining Groupon’s tone of voice. Not an easy mix to get right. Even though it told me nothing about what was inside the email, it spiked my curiosity to click on it. Never promise something in the subject line you can’t deliver. It’s the quickest way to annoy your readers and ensure your next email doesn’t get read. If you promise “50% off all products!” in your subject line, make sure you follow through. This is where curiosity and ‘clickbait’ style subject lines tread dangerous territory. Always make sure the pay-off lives up to the tease! Nothing gives people a kick up the back-side like a ticking clock. A good subject line should give us a reason to take action. The threat of a sale or offer expiring is one simple way to do it. Not only does it give you a final nudge, the ‘no exceptions’ is a fantastic incentive to take action. This famous quote from American writer, Dale Carnegie, explains why this trick works so well. We are programmed to take notice when we see or hear our own name. A study conducted last year showed that open rates increased by 29.3% when a subject line included the recipient’s name. It’s easy to see why this one works. All you need to do is collect the subscriber’s name when they sign up. Then use MailChimp’s ‘merge’ feature to insert the recipient’s name. This one is much rarer, but it works wonders. I’m signed up at Thrillist with my preferences set to New York (for a trip I made there recently). No doubt, they send similar emails to subscribers with preferences set to Seattle or London or LA. It’s an easy way to get me to open the email because they already know I’m interested in New York content. The world’s fastest growing language is also fun, playful and colorful. Use a smiley face in a subject line and it jumps out at your subscriber. It’s becoming more popular too. Mailchimp has sent a total of 1.4 billion emojis to people’s inboxes. Experian even tested the use of emojis against email open rates. It boosted open rates by 45%. (Pro tip: emojis don’t show up on every email client, so run a test first). Too many, right? While studies show that straightforward ‘newsletter’ subject lines do generate high open rates to begin with, they tail off pretty fast. It becomes repetitive and our brains tune them out. One report saw an 18% decrease in open rates when using the word ‘newsletter’ repeatedly over time. Instead, try to stay creative. Come up with new ideas. Highlight your top stories and come up with unique headlines. Play carefully with this trick, but ‘negative marketing’ has proven successful many times over. Not only does it spike your curiosity, but it triggers a response. Am I committing Instagram atrocities?? The same psychological responses that draw us to click on blog posts and headers lure us to open emails too. We know that numbers and lists work when it comes to drawing the eye. It also guarantees a useful, concise list that we can consume quickly. 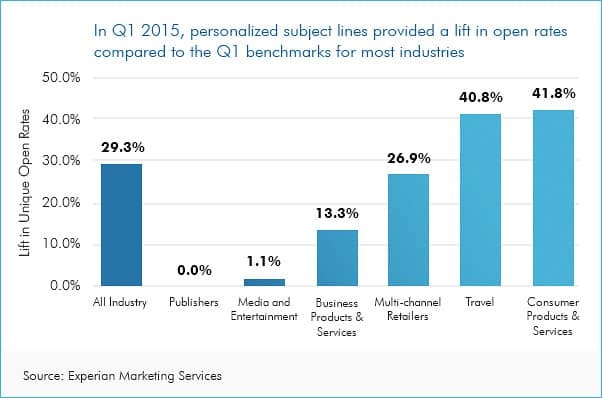 That means we’re much more likely to click on an email with numbers in the subject line. Just like headers and blog posts, odd numbers work better. Who knew?! 13. Why not ask a question? Posing a question in your subject line is a fantastic way to stop your subscriber dead in their tracks. Not only does this speak directly to me, which is copywriting 101, it’s a psychological trick to make me stop and think. There are two more sneaky tricks in this subject line. It inspires curiosity. How will I win? And it capitalizes on recent talking points and news. It’s relevant. 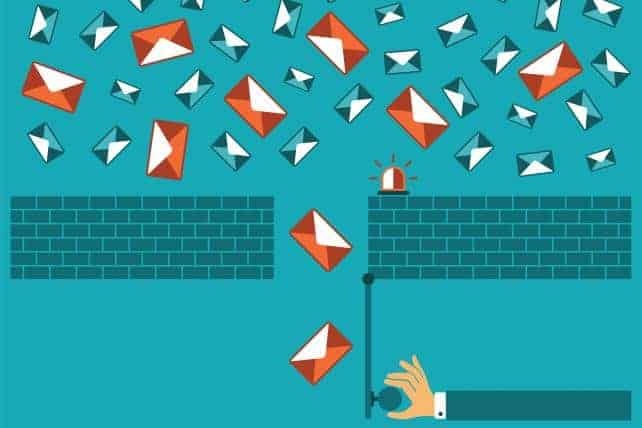 Newsletters and marketing emails are, by their nature, mass emails. If you can make it feel special and personal, you’re onto a winner. “Here’s a gift for you, [name]. Sure, this advice isn’t very helpful. But some of the best subject lines don’t follow any particular pattern or formula. They just work. These subject lines tell me nothing about what’s inside. They’re not funny, clever or even particularly curious. If anything, they’re lazy. But they work. 16. Avoid the$e SPAM filter magnets!!! The fastest way to kill your open rate is to end up in the spam folder. Your subscribers won’t even see your subject line, let alone read it. These are all mailing lists I’ve subscribed to, and they still ended up in the spam folder. It’s pretty easy to see why. All caps, exclamation points and exaggerated offers will get you thrown in the bin. MailChimp has an extensive guide on how to avoid spam filters. Treat it like your email bible. In part four, I explained the huge benefits of slicing up your email list into segments. By only sending relevant emails to subscribers, your open rate will increase dramatically. Even if you don’t change the content too much, try a different subject line for different portions of your subscriber list. Segment them by location, age, industry and interests if you collect that data. ASOS, for example, alters their subject lines based on gender. Ultimately, subject lines are still a mystery. Sometimes they work, sometimes they don’t. Rather than guess, try coming up with a few different ideas and test them. MailChimp has a useful feature called ‘researcher’. When you go to type your subject line, hit the ‘how do I write a good subject line’ link. You can then type various phrases or the full subject line. MailChimp will scan all comparable subject lines in its database and show you a 5-star rating for previous subject lines. I also suggest running an A/B split campaign. That means sending two different subject lines to a small portion of your email list. Whichever one notches up the best open rate is the best! Simply use that one for the rest of your list. 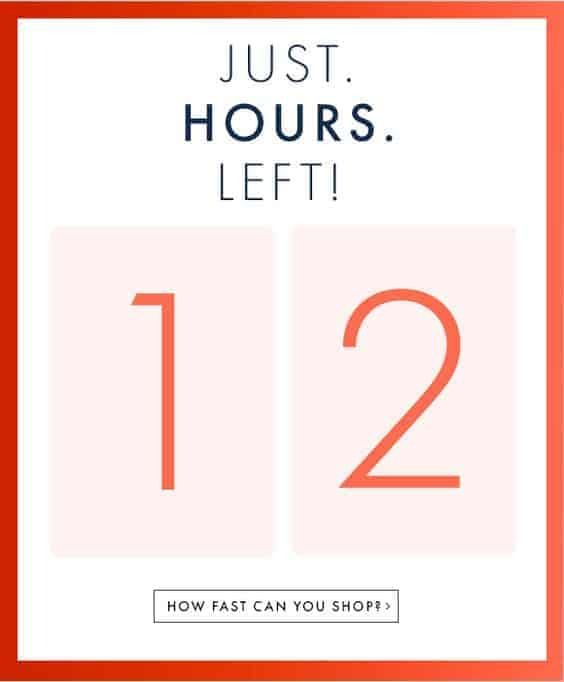 What is your best-ever-performing subject line? The final piece in our email marketing series is coming soon. The topic? How to analyze your campaigns and which metrics matter. See you then!